If you resist the idea of leaving those puppy dog eyes behind every time you head out for lunch, these cafes have come to the rescue! These cafes not only serve sinful delicacies for the pet parents, but special treats and dishes for your furry ones as well! Besides offering a menu for dogs, an open space and amazing decor, these eateries make sure that your dog can enjoy his day out! Besides offering a separate menu for your pets to gorge on, this biker- themed cafe in Gurgaon offers a kickass ambiance for the pet parents and bike lovers, a large open space where you can let your dogs out and 24/7 service! All Harley Davidson lovers, don’t forget to make a stop at this hub and gorge on their breakfast special, chinese and north Indian delicacies. 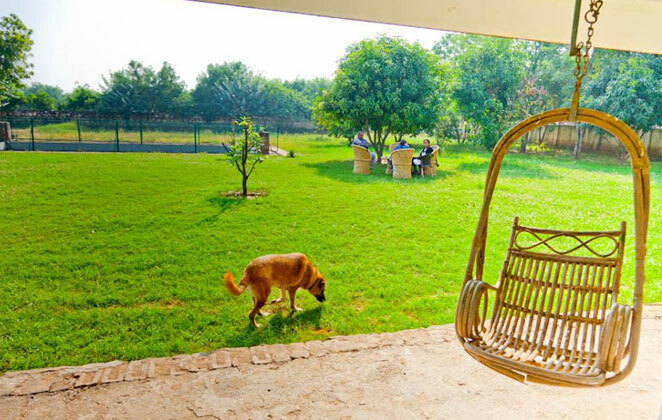 Nadir’s Ark at Gurgaon is a place dedicated to dogs, offering a pool, a special dog menu, toys and a large open ground for your furry friend to enjoy a perfect day outing. This place offers some mouth watering cheese sandwiches and aloo paranthas for foodies to gorge on along with a perfect desi seating of moorahs to laze around under the sun on the weekend! This place offers a large menu of cheesy pizzas to satiate your pizza cravings. Savour the flavours of their varietal pizzas at this pizzeria along with gulping down their refreshing beverages. All pizza lovers head to this pet friendly pizzeria, which offers an abundance of open space for your pets to run about! This place offers great food for the humans and dog treats for your pets. Besides providing a spacious open ground where your pets can run around, Off The Leash also has a swimming pool where your furry one can swim and splash! Visit this cafe to spend a perfect weekend lunch date with your pet friend!